The Zen folk saying "When I see heaven and earth as my own garden, I live that moment outside the universe" illustrates the contemplative aspect of a Zen garden. Gravel paths, graceful flowering trees and shrubs, well-placed rocks, and relaxing water features all lend themselves to the natural, quiet beauty of Zen gardens. Zen gardens have a long, rich history. 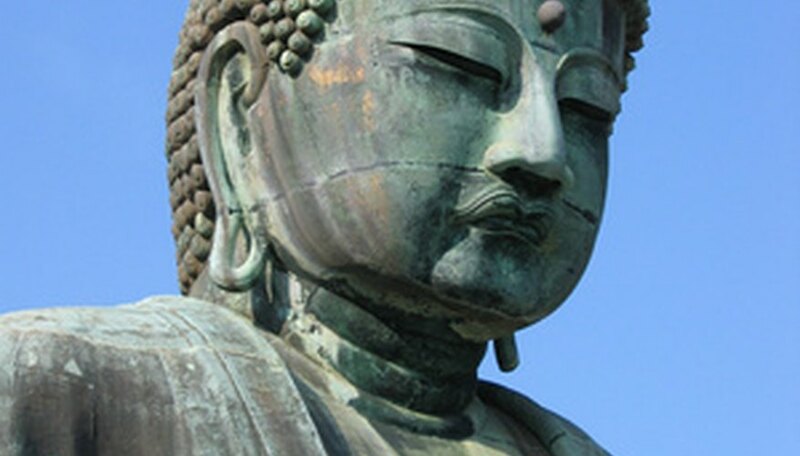 Buddhism came to Japan from Korea in the sixth century, with China’s Zen style of Buddhism arriving during the latter part of the 12th century. During this span of time, gardens in Japan were heavily influenced by Chinese gardens and used elements such as lacquered bridges leading to isolated island gardens. Garden layouts were careful to incorporate the harmony and balance of feng shui, also a Chinese concept. Various features in the garden were strategically placed according to the cardinal directions. During Japan's Heian Period (794-1192 C.E. ), gardening and garden design became a favorite activity of the educated class and the aristocracy. The "Sakuteiki" was a landscape manual written during the Heian Period that advocated using nature itself as a model for Japanese garden design. 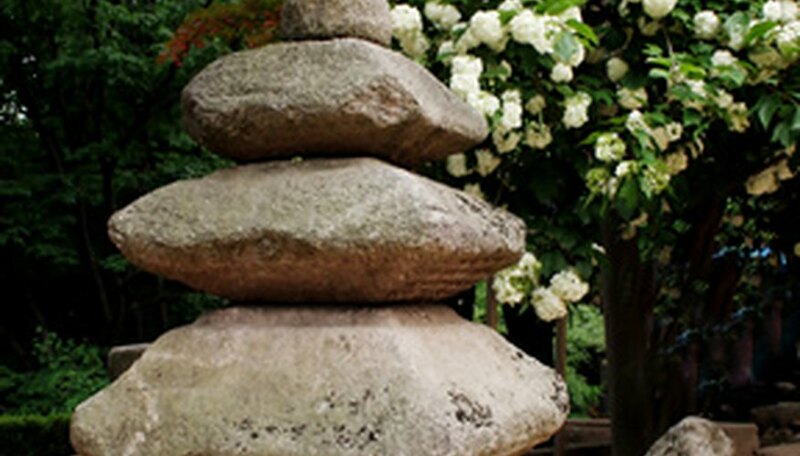 Stones and rocks created focal points within the garden that could be enjoyed for the beauty of their physical simplicity or imbued with more symbolic meanings. An artfully arranged group of rocks might be just a group of rocks or a turtle crossing the open sea. The symbolic nature of Japanese gardens developed further when Zen gardens became prevalent during the latter half of the 15th century in the Muromachi Period. As power shifted from the aristocracy to feudal clans in the 1400s, Zen Buddhism became the preferred religion, and gardens were no longer seen as peaceful havens only to be enjoyed by a fortunate few. Temples were built that incorporated the "dry garden" or "karansui" landscape style. The now-famous gravel and rock temple garden of Ryoan-ji in Kyoto was created between 1488 and 1500. The dry garden now features 15 large rocks in a bed of raked white gravel, but according to 18th century writings, originally it included only nine rocks. The placement of the stones has led to various symbolic interpretations. Some groupings seem to represent mountains rising from the mist, while others evoke islands in a wave-tossed sea. Mosses, grasses, small trees and evergreens graced the simple lines and curves of the Zen garden. Stone "rivers" coursed through the landscape. 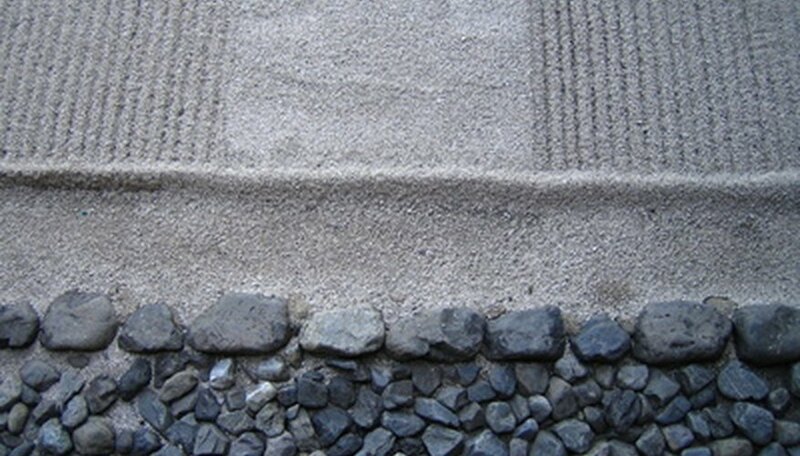 Zen priests who created temple Zen gardens were known as “ishi-tate-so," or priests who move rocks. Zen belief holds that nature is the universe and anything of beauty reveals the Buddha; medieval Zen gardens were a means of revealing the Buddha's truth and enlightenment through nature. To visit a Zen garden was to visit Buddha. For Zen priests, the path to enlightenment was also found in the daily chores required for a temple garden's upkeep. Dry gardens required occasional raking; paths needed to be kept free of leaves and flower petals. Through work, the monks moved closer to understanding Buddha. The introduction of Buddhism, and especially Zen Buddhism during the medieval era, greatly influenced Japan’s poets, artists and architects and helped to enrich Japanese culture.